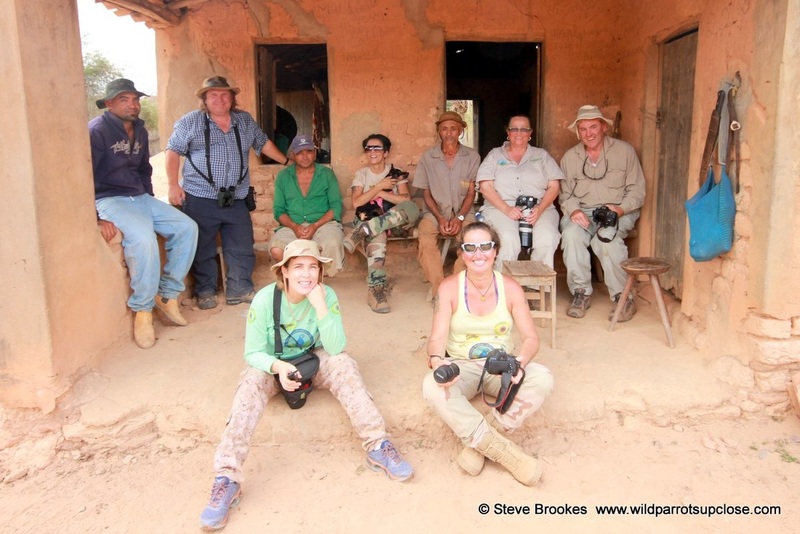 The trip to Peru was my first trip with Steve Brookes of Wild Parrots Up Close. Steve did a great job arranging the trip. All I had to do was send in my reservation and make arrangements to fly in and out of Lima. Everything else was taken care of, including all lodging and transportation. As a bonus, Steve acted as sort of a "troop leader" for the trip, making sure that there were no glitches and that everything went smoothly. For example, I left Lima for home at 1AM. The ride to the airport was set up for the day of the flight, instead of late evening the day before the flight. Steve is the one who noticed this and called to change the ride to correct day. In addition to his organization skills, Steve has a wealth of knowledge about parrots. The discussion over meals about the habits of the parrots we had seen, the other subspecies of the parrots, etc. where a great addition to the trip. Steve was indefatigable in his desire to see as many parrots as possible, and his enthusiasm was catching. I am confident that I will be making more trips with Wild Parrots Up Close in the future. 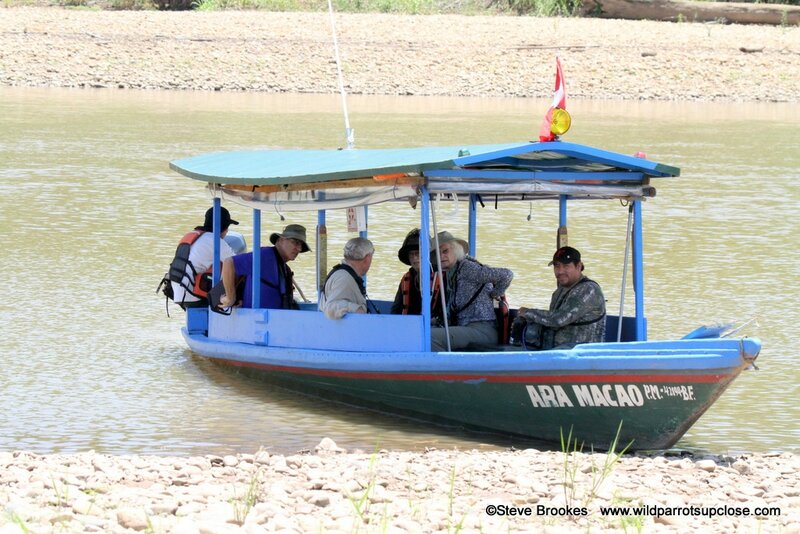 I cannot praise Steve Brookes highly enough for his exceptionally well planned, informative and FUN tour of the Peruvian/Bolivian jungle. In spite of the fact that it is my husband, not myself, who is the parrot enthusiast and also that I am very much a city slicker, I had the most wonderfully interesting time and felt that a door had been opened to a fascinating new world. 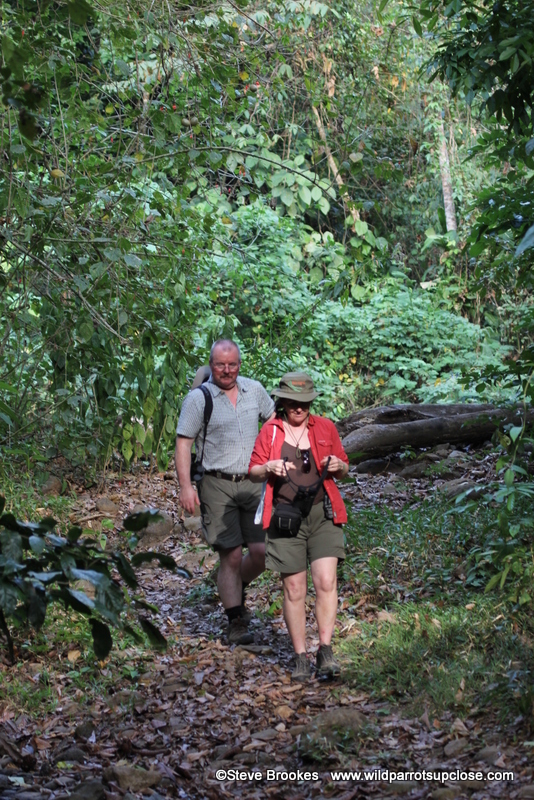 Everything was perfectly planned and the knowledge of both Steve and our guides was inexhaustible. We saw so many different species of parrot, not to mention giant otters, capybaras, caiman, amazing butterflies, sloths, howler monkeys and so much more. I can only say that we are planning our next trip with Steve already. It was unforgettable. I've been keeping and breeding parrots for over 40 years and my dream was always to go and see parrots in the wild. 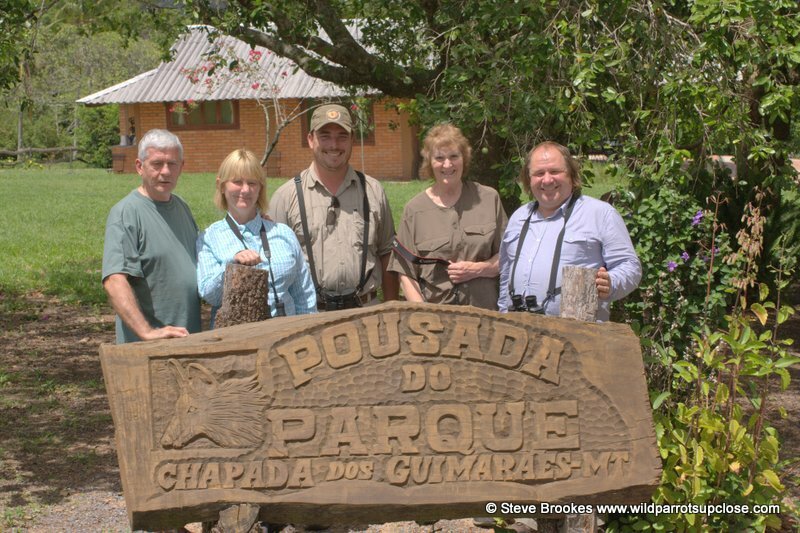 Over the past 4 or 5 years I spoke to Steve Brookes about joining him on one of his Wild Parrots Up Close trips. 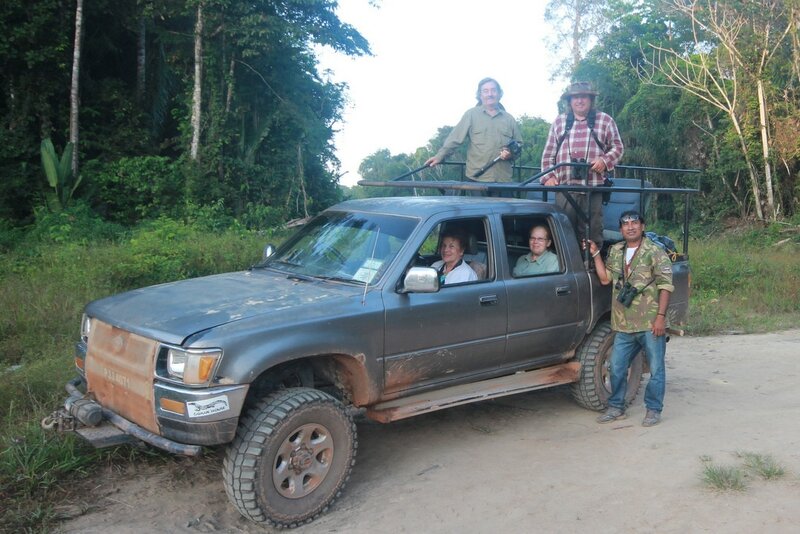 We ( my wife Susan and I ) finally joined him on the tour of the Peruvian jungle last November. 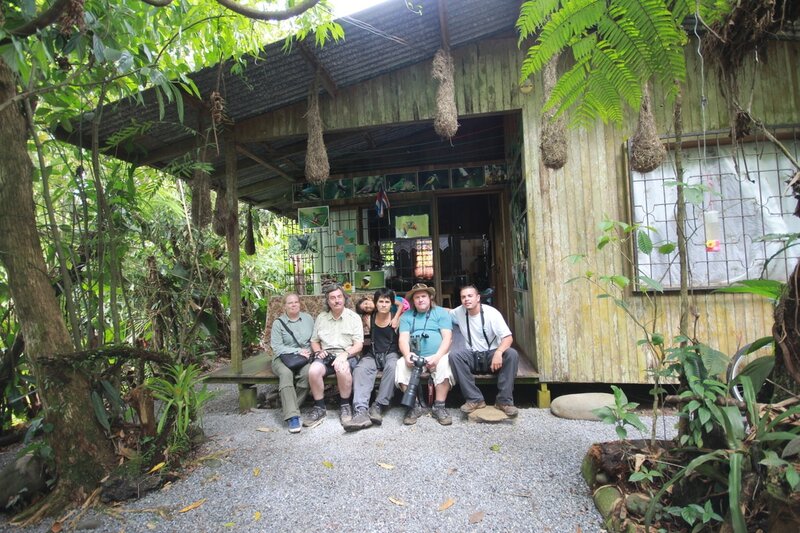 It was a small group of 6 who were great to travel with, all parrot enthusiasts except my wife and in spite of that she thoroughly enjoyed it . It was a great experience, so well organised and we were all so well catered for. The guides were very good, very helpful with our many enquiries about different animals and plants. Steve appears very relaxed and laid back, but he has every detail covered. I'm sorry we didn't go sooner. We will be going again, for sure. Thanks, Steve, for including us in the experience of a lifetime. 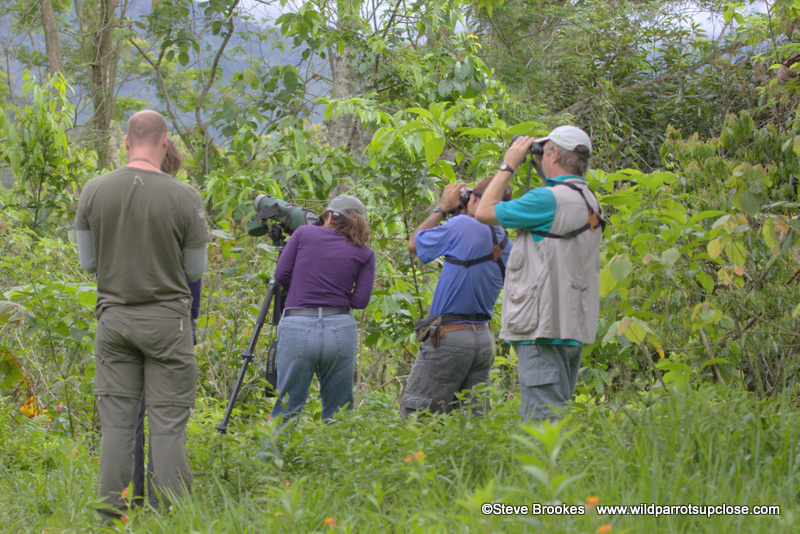 Since my wife, JoAnn, had been to Peru with Steve, and considered it to be the ”trip of a lifetime”, I had some expectations when we went to Costa Rica with Steve in February, 2012. 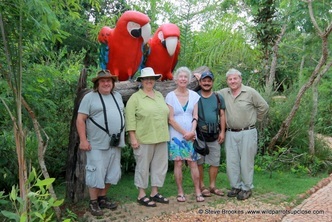 We had been to Costa Rica before and knew a little about the country and had seen Macaws and other birds before. Our trip exceeded our expectations. 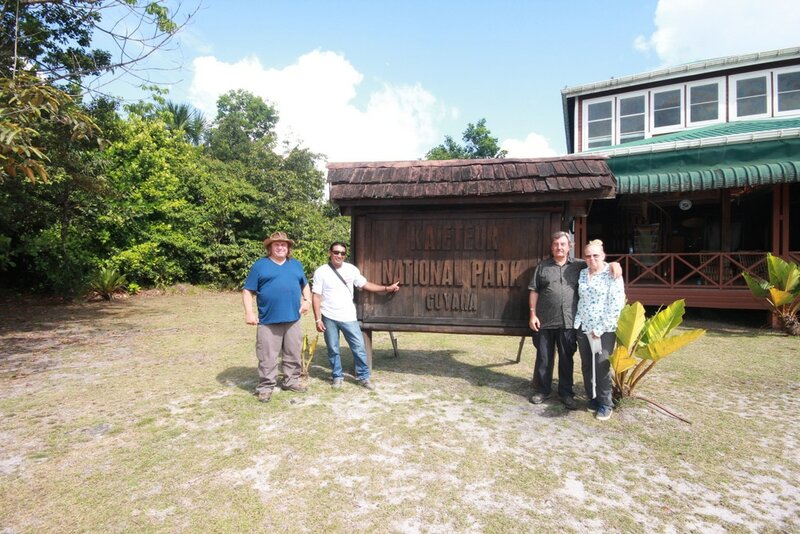 Steve had two exceptional local people as our drive and guide, Max and Hector, and we were thrilled with the variety of birds, from Scarlet Macaws to the Great Green Macaw to the Red Lored Amazon, we were thrilled with the number and variety of parrots. 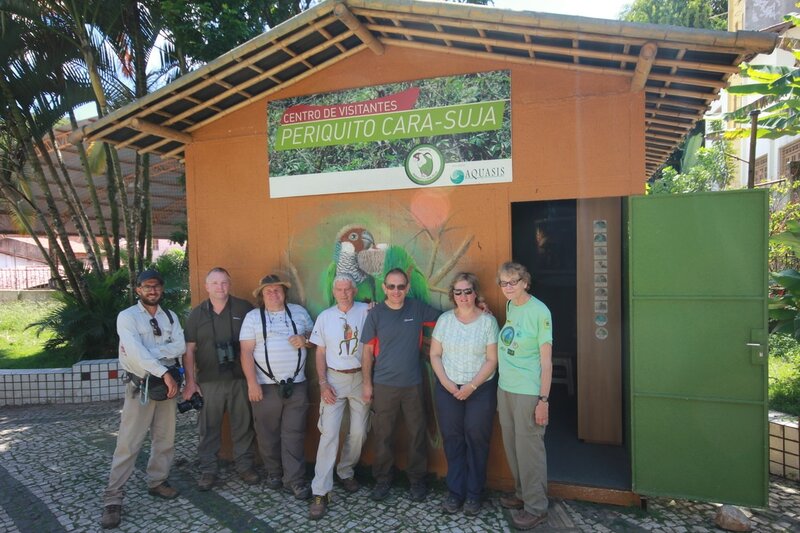 But, we saw many more species of birds, from tiny Kingfishers to Toucans to Aracaris. Steve put in a lot of effort getting us nice lodges, entry to the ARA Project, and many hikes through several different types of forest and mountain. 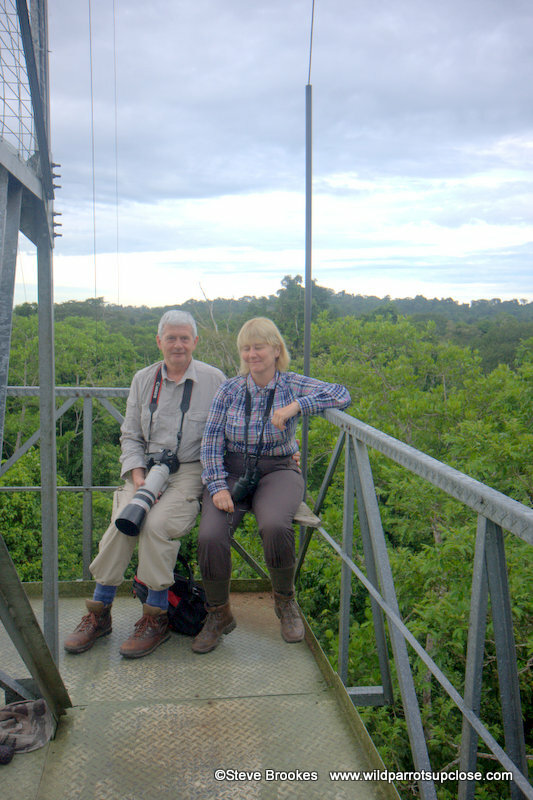 If you like your bird watching with your feet up, sitting in a comfortable chair on a deck watching the Brown-hooded Parrot, then Steve can direct you to Laguna del Lagarto. 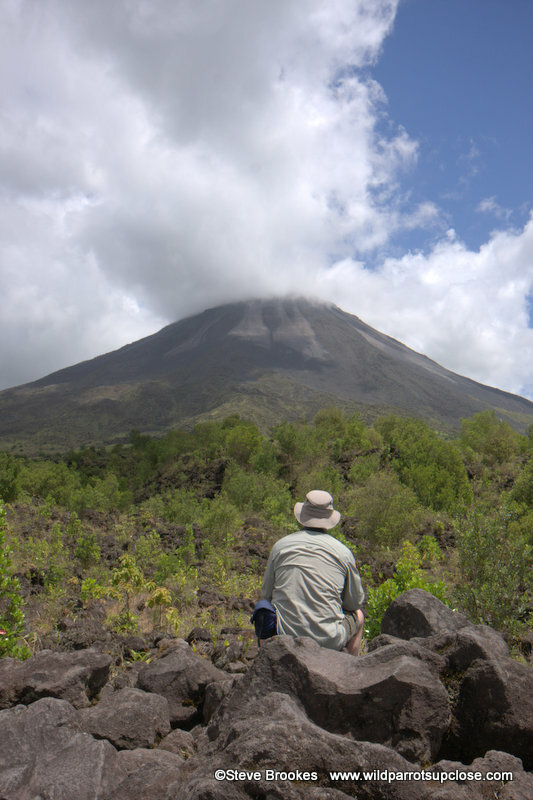 All in all, we got more than expected and greatly enjoyed our time with Steve in Costa Rica. 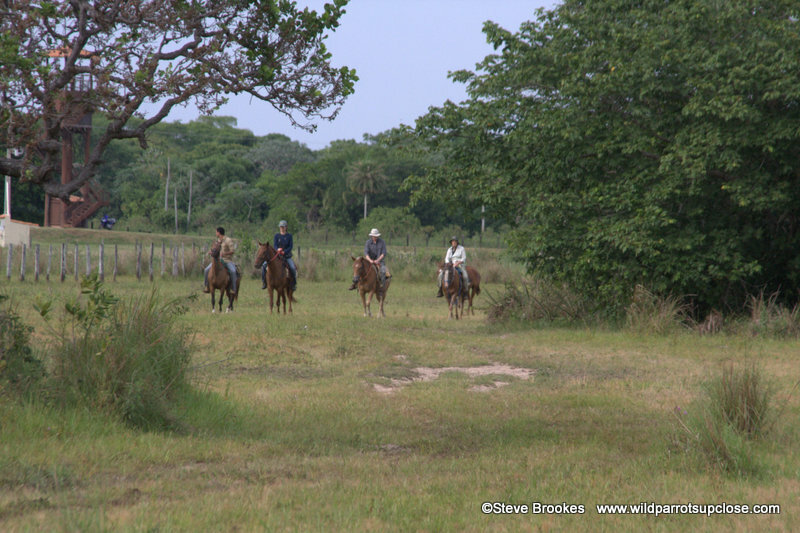 Brazil 2011 – Cerrado, Pantanal, Amazon and Atlantic Rainforest. We would not have made this trip without the experience and organisation of Steve Brookes. 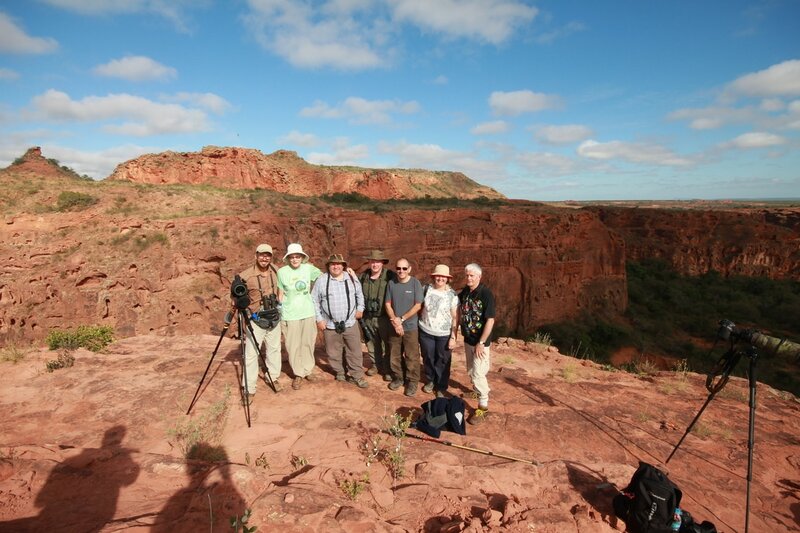 His enthusiasm, efficiency, and network of contacts, plus knowledge gained from previous trips ensured that everything ran very smoothly, and that we saw some wonderful sights. Hopefully we shall go again soon on another of his trips: time, money and health permitting. Brazil 2011 - Cerrado, Pantanal and Amazon & Brazil 2008 - Atlantic Rainforest and PantanalI have taken part in two of Steve's trips to Brazil, and plan to be on a third in September 2013. 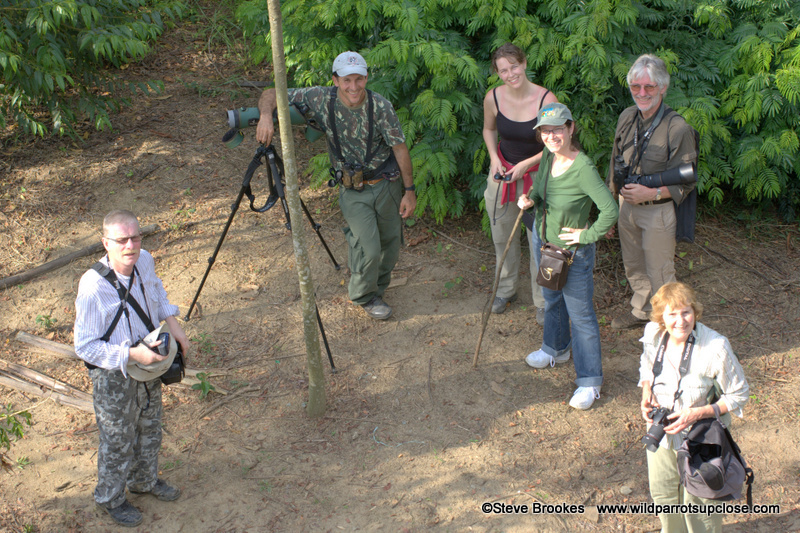 They have two great advantages over tours to the tropics organised by birding companies. One is, of course, that finding parrots has priority and the guides Steve employs either already know of the best parrot sites or research these well in advance. This means you save much time and see more species than if you travelled in any other way. 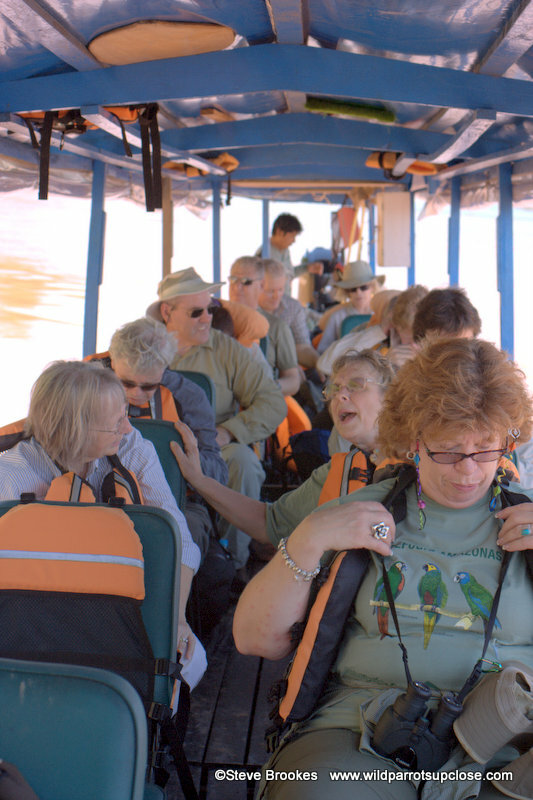 The other aspect that makes his tours so enjoyable is the company of people who are primarily interested in seeing parrots and are so excited and appreciative of good sightings. This is in contrast to the twitchers who make up most members of a bird tour company group who are "listers" rather than people who enjoy observing birds. 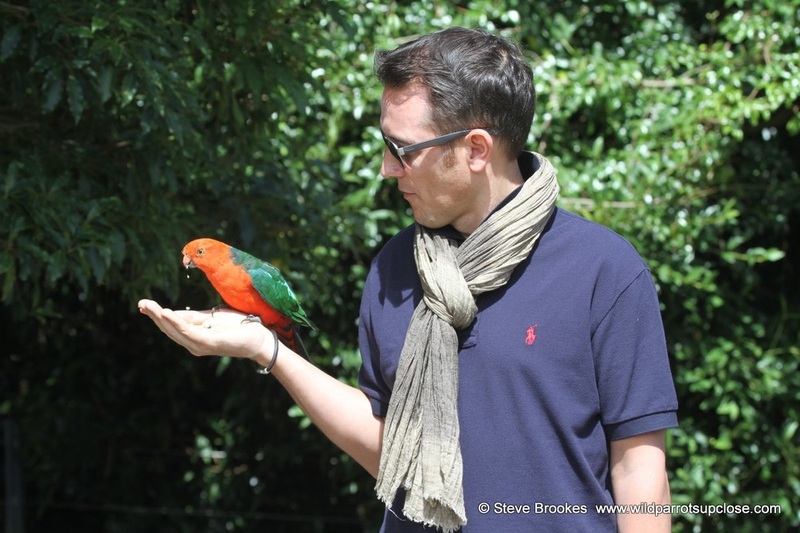 Steve has enabled many parrot lovers who could not otherwise do so to have good sightings of parrots in the wild. Keep up this good work, Steve! 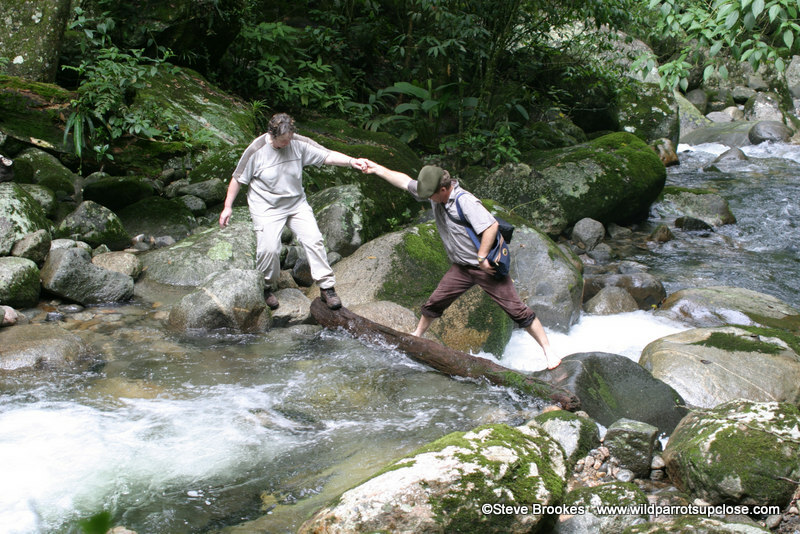 We’ve been on two trips with Steve; the Amazon Rain Forest in Peru (2010) and Costa Rica (2012). They are ideal for anyone who likes eco-holidays away from the hustle and bustle from popular tourist destinations. It might well be “wild parrots up close” - the clay licks in Peru were fantastic - but there are plenty of other bird and animals to see, not to mention the plant life. It might seem like you are on “safari”, particularly in the Amazon Rain Forest, but the lodges, miles and miles from the rest of civilisation are comfortable and the food very good. 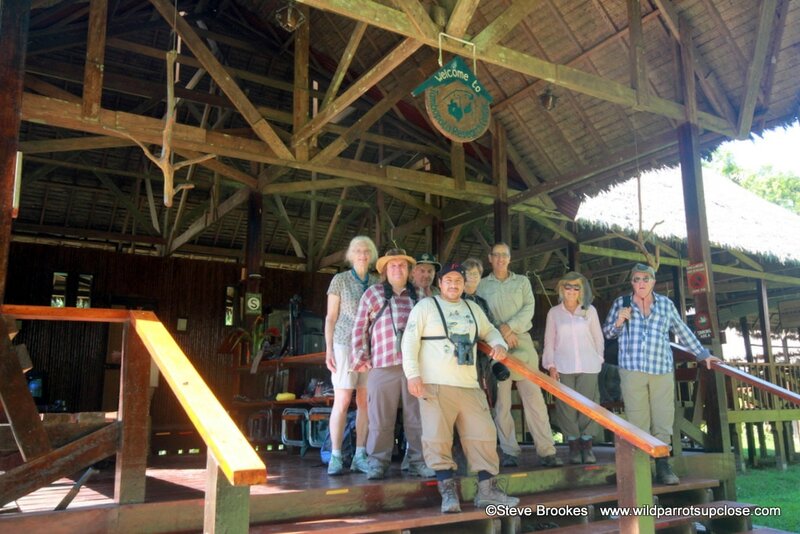 At the Laguna del Lagarto in Costa Rica we were delighted by the numerous birds that could be observed at the feeders very close to the lodge. 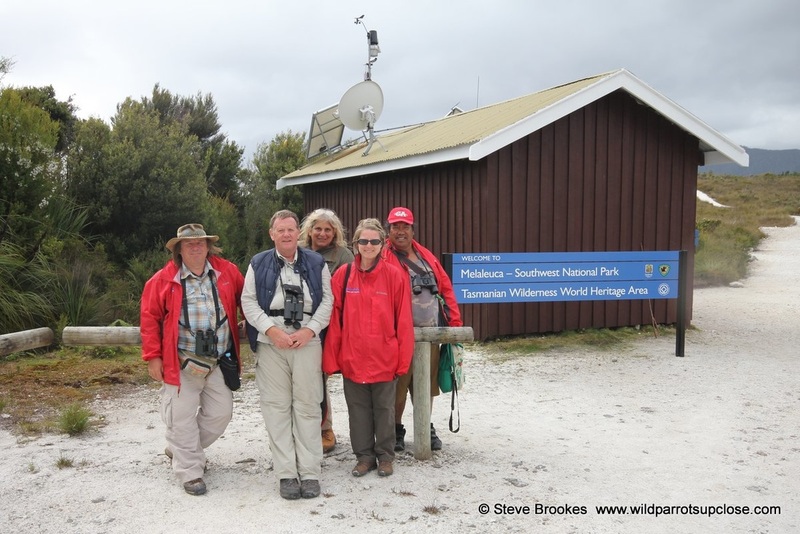 What made these trips so good was the excellent organisation by Steve. All you have to do is to book your outward and return flights; everything else is laid on for you and included in the price of the trip. Having our own guides meant that the holiday could be flexible and not necessarily be to a strict timetable. We had a great time in very good company. With Steve you are in very good hands. ‘The trip of a lifetime’ is how I would describe my trip to Peru in 2010. My main goal was to see parrots, which exceeded my expectations. Sharing breakfast with the Scarlet Macaws at Tambopata, seeing the nest boxes & visiting the clay licks was absolutely thrilling. 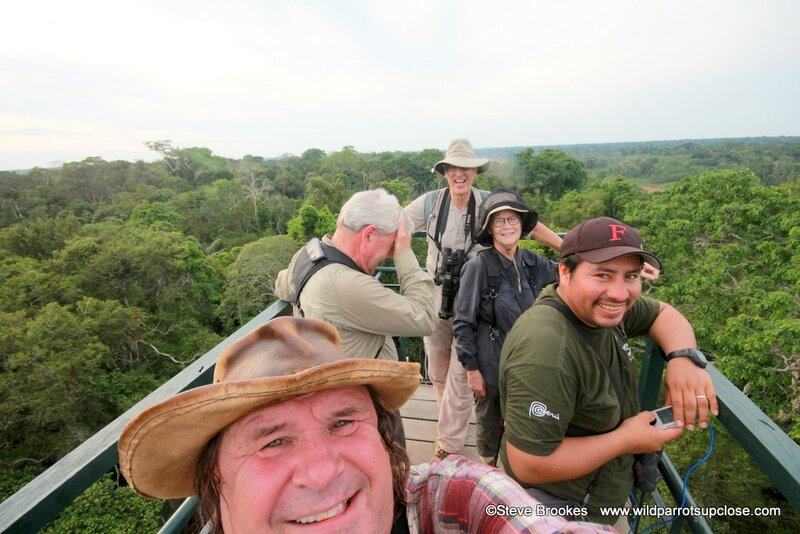 At Heath River Lodge, the clay licks with the floating blind a very short distance away gave us the opportunity to see macaws, amazons, pionus & parakeets up close. 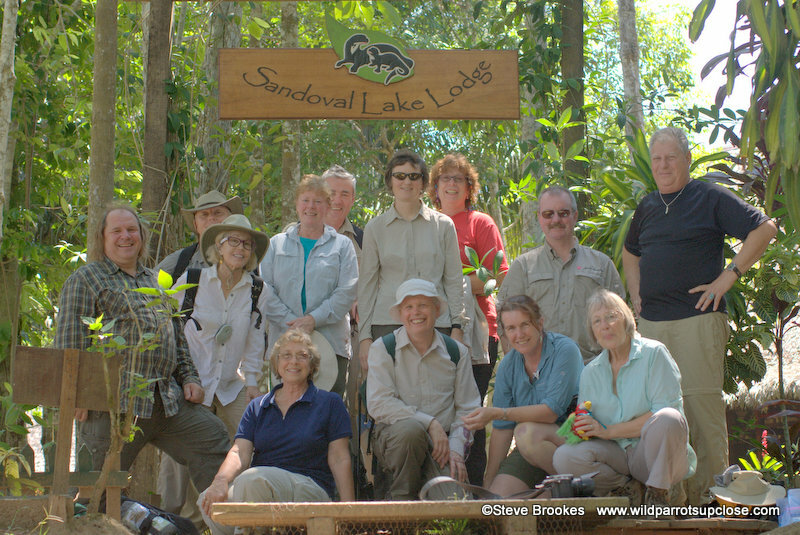 The other lodges included Refugio Amazonas and Lake Sandoval. All of the lodges were very nice with great food and wonderful staff. Staying in the heart of the jungle to enjoy the scenery, vegetation, wildlife and just marveling at the serenity was so relaxing. After 2 weeks we moved on to Machu Picchu for a couple of days to enjoy all the wonders there. 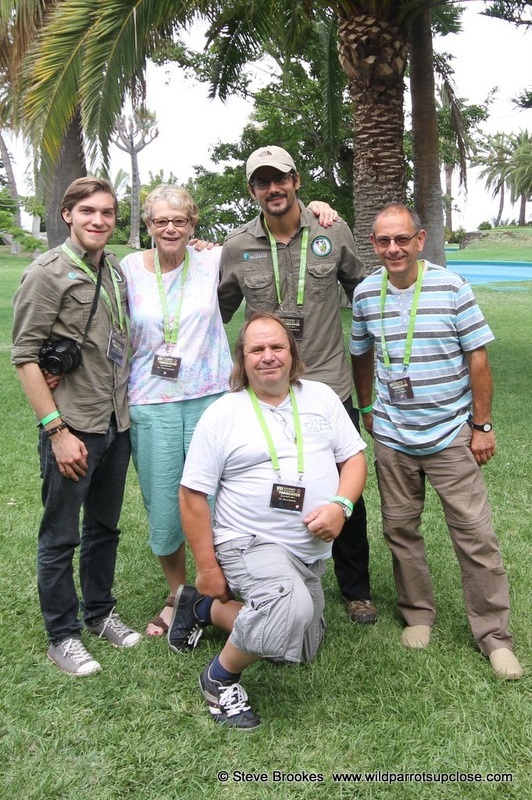 This fabulous adventure could not have happened without all the research & planning that Steve put into this trip. He made it fun, exciting and relaxing. I hope you know it goes without saying that none of this would have happened if you had not organised it so well - every detail !! 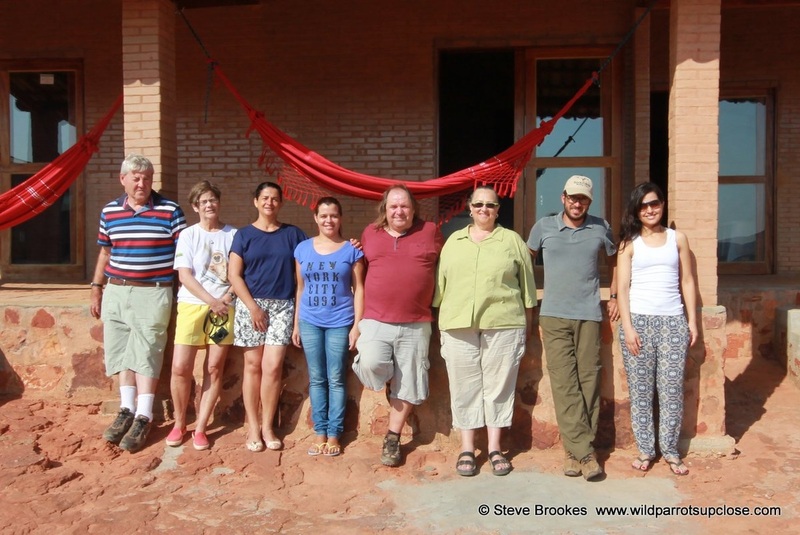 I had a great time with your tour in Brazil, and that I appreciate the thought and effort you made to provide for and allow each person to have a wonderful and truthful experience of Brazil and its wildlife (as much as is possible within 3 weeks). 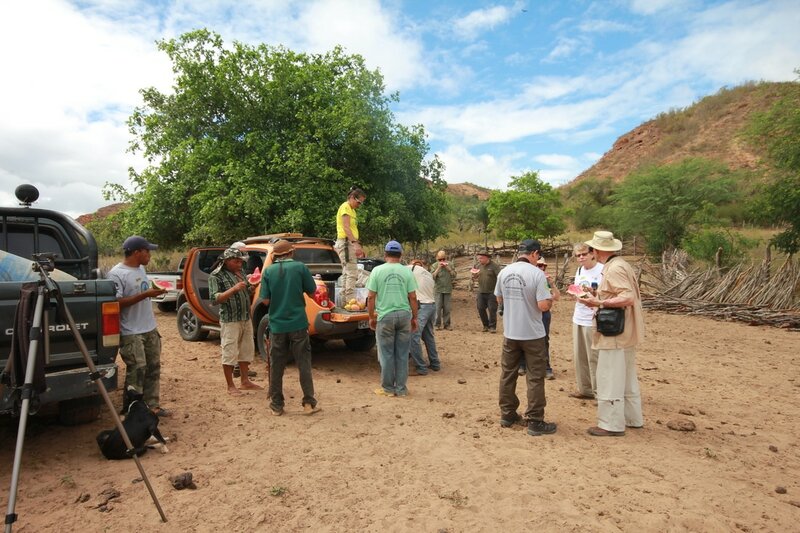 Organizing the tour so that we spent time first in REGUA, and then finished in the Pantanal was insightful and important to understanding conservation on a broad scale and over time. 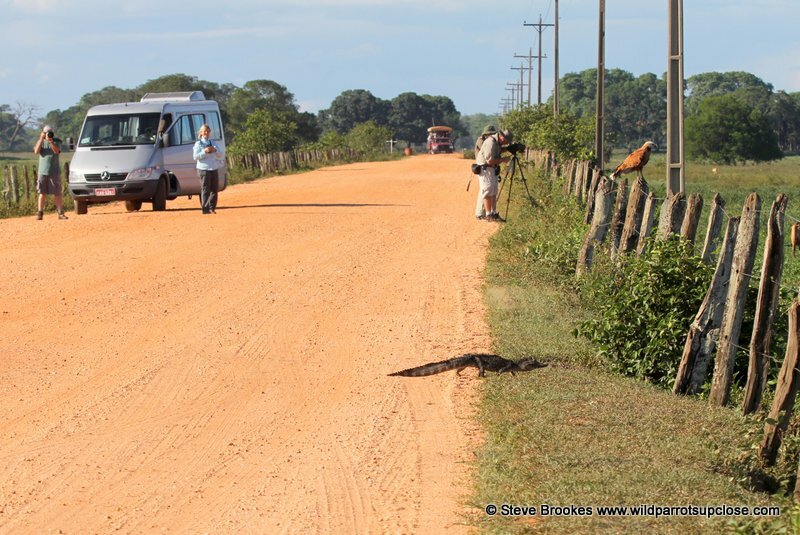 I began the trip, with a rather narrow primary focus on parrots. So, it came as a wonderful and unexpected surprise to fall in love with so many of the other incredible birds: the great and snowy egrets, the hummingbirds (frilled coquette, hermits, and Jacobin), the blue manakin, the white-headed marsh tyrant, the violaceous euphonia, the green-headed tanager, guira cuckoo, and others I will recognize again when my guide to Brazilian birds arrives. I suppose some people may have wished to see more parrots during the trip. However, the reality is that parrots are endangered; present in small numbers, hopefully wary of people in the interest of survival, and desperately dependant on conservation efforts like those in REGUA and the Pantanal. It was a privilege to see and hear my dear white-eyed conures on several occasions and in more than one location during the 18 days; as well as 2 subspecies of Maxmillian’s Pionus parrots. Accompanying the Hyacinth Macaw Project in the Pantanal, and observing the baby hyacinths and greenwings, was inspirational and humbling. 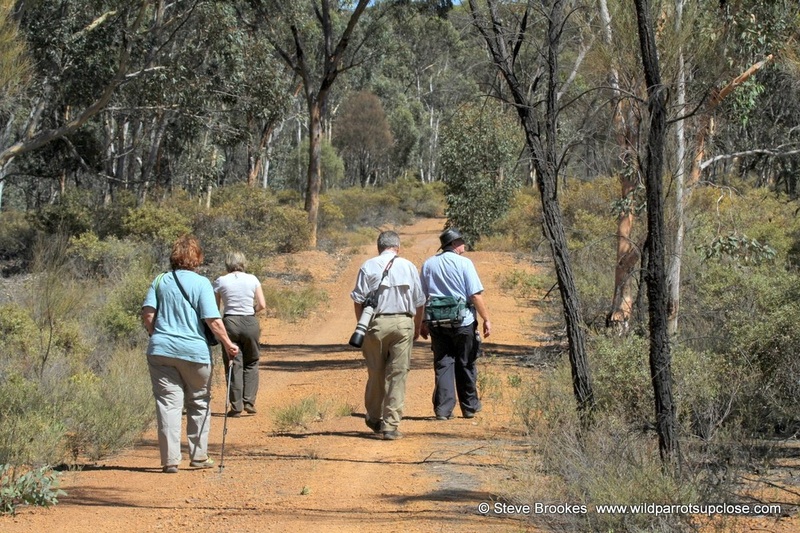 And by the end of the tour we had seen almost all of the listed parrot species. Even so, it is the magnitude of REGUA's comprehensive conservation/reforestation agenda that has truly impressed me. It provides a framework which promises to generate enthusiastic support from many individuals and organizations of diverse scientific and conservation interests, as well as providing a sort of prototype for future conservation efforts. The abundance of wildlife in the Pantanal offered an opportunity for me (I hope for all on the tour) to imagine how REGUA might come to provide home to greater numbers of birds and animals as REGUA expands and attains the years in conservation that the Pantanal now has. 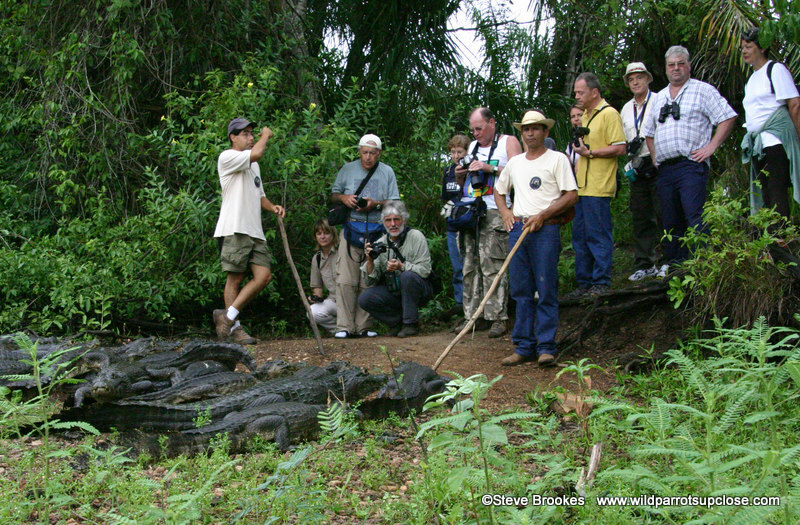 The gracious and casual hospitality at REGUA and at Caiman Lodge made the trip an intimate and personal experience. This trip has changed the way I view the world, even the world in my own backyard. I hope to return to Brazil more than once in my future travels, and am already considering my next trip with Wild Parrots Up Close.